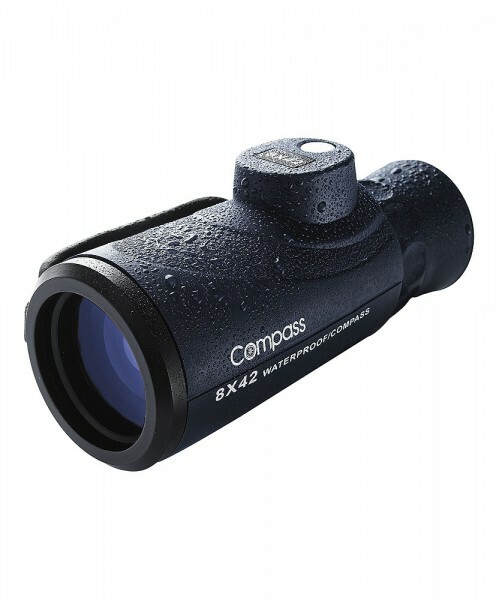 Waterproof monocular with bearing compass. The single focus allows the high quality BaK 4 prisms to be adjusted according to your vision. Rubber armouring for knock-resistance and a good grip even in bad weather. Very sharp image thanks to high quality optics. The monocular's compact size and low weight mean you can carry with you at all times. Ideal for distance viewing and as a navigation aid or spirit level. Weight: 0.36 kg. Size: 15 x 7 cm. Weiterführende Links zu "Compass Wave Monocular"